Nothing beats a good workout, especially if you can enjoy some sunshine and fresh air at the same time. Over the past few years there have been outdoor gyms popping up all over the country, with obstacle courses and exercise machines helping in the fight against obesity and encouraging people to get off their sofas and keep fit. You might think that opportunities for an outdoor workout would be scarce in London, but it is in fact one of the leafiest capital cities on the planet. 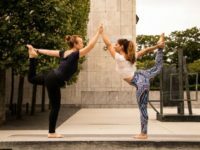 With numerous parks both large and small, living in the city is no bar to an outdoor workout and finding some outdoor space for exercise is easy enough when you know where to look. If you live and work in the heart of the capital, here are our top five hand-picked outdoor gyms in London, to help kick-start your new fitness regime. The Great Outdoor Gym Company operates an outdoor gym within this 28-acre site, which is fully-equipped with some state-of-the-art exercise machines suitable for people of all levels of fitness and ability. Even those who are just starting out on a new fitness drive will find an easy way in, while more seasoned gym-goers will find a range of equipment to push them to their limits. You can find the park on Randolph Avenue in Maida Vale, and it really is a little green oasis right in the midst of the busy city. There’s something for everyone here, young or old, so check it out during your lunch hour if you fancy a quick workout in the fresh air. 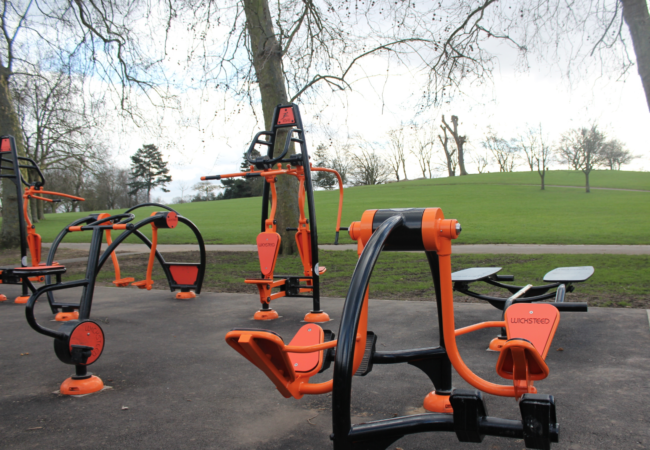 Located at the northern end of Grove Road in Hackney, the adiZone Outdoor Gym is one of the best in London. Whether you’re a fitness fanatic or just dipping a toe in the water, there’s plenty to keep you occupied and the canal-side setting is perfect on a sunny day. For those who are feeling brave there’s a climbing wall to tackle, or you could challenge friends to a match on the cool little basketball court. For a more serious workout there are various machines for strength and cardio training, and plenty for those with disabilities to work out on. If you live or work around Somerleyton Road in Brixton, then pop along to the Brixton Street Gym to see the amazing work being done by the Block Workout Foundation. This isn’t a completely outdoor gym because there are also indoor spaces to work out if the weather isn’t on your side, but there are pull-up and parallel bars, mats, weights and a vaulting horse outside. There’s a great community vibe and always something going on, with plenty of free sessions or very cheap martial arts or bootcamp classes to join. There’s always plenty of music too, to really up your pulse rate and keep you feeling motivated. Located at 21-54 Park Close, Earl’s Court, Holland Park is a great little spot which ticks all the boxes for an outdoor gym. As well as having tennis courts and areas for cricket practice, there are parallel bars, bodyweight training equipment, low bars and incline benches, so you can get a full cardio and strength workout in the ideal outdoor setting. If you’re after something a little more social and structured, there are opportunities to enjoy a parkour workout or bootcamp workout. There are also plenty of pathed walks around the site, which are ideal for a brisk stroll or gentle jog to warm you up and down and the beginning and end of your workout session. Roundwood Park in Brent has a great little outdoor gym, with free instructor led training courses which you don’t need to book in advance. As well as all the outdoor exercise equipment you could want, there are also multi-use games areas and plenty of open space if you fancy a jog or stroll to warm-up before your workout. It’s a great place for working out alone but there is also a playground, a wildlife area and a café, so you could turn it into an afternoon out with friends and family. There’s something for people of all ages and abilities, so it’s a great spot for some social sporting fun. Outdoor gyms are set to become increasingly popular in the coming years, especially with more record-breaking summers on the cards. Make space in your day to visit an outdoor gym in the capital, and enjoy some fresh air and a great workout without having to cough up for membership fees or your own home gym equipment.